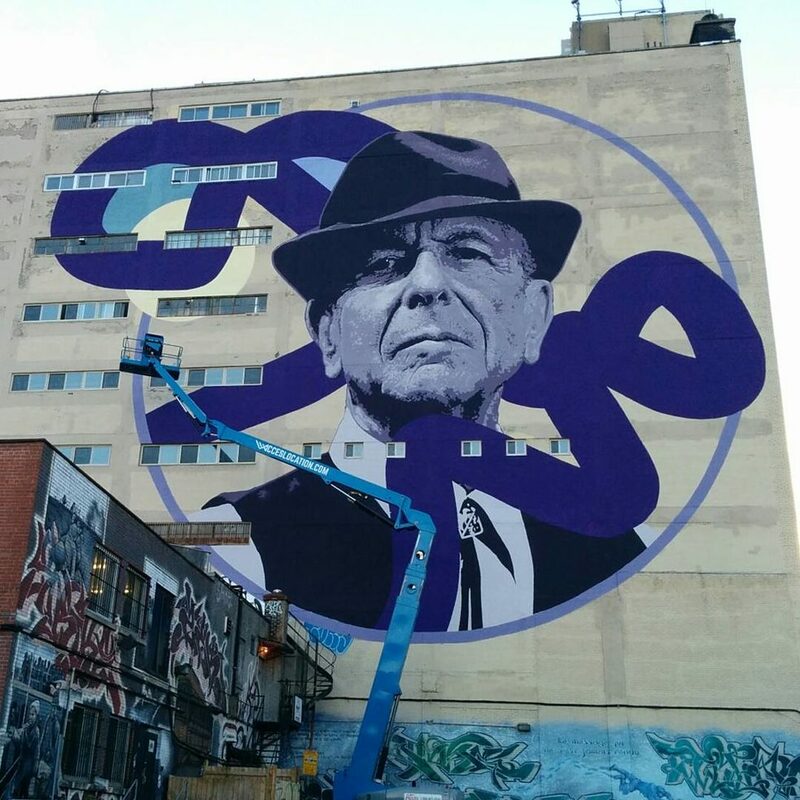 No article about Street Art in Montreal is currently without mention of the huge Leonhard Cohen portrait by Kevin Ledo. 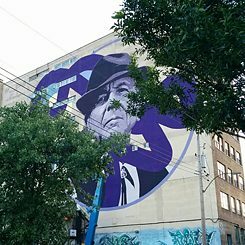 Cohen 21.9.1934, born in Montreal's Westmount district, is one of the absolute heroes of his hometown; his death on 7.11.2016 became a major event. The Museum of Modern Art (Musée d'art contemporain) opened its most successful exhibition "Leonard Cohen: Une brèche en toute chose / A crack in Everything" in his honor on 09.11.2017. The exhibition closed on 12.4.2018 and attracted almost 300,000 visitors. "Leonard Cohen: Une brèche en toute chose / A crack in Everything"